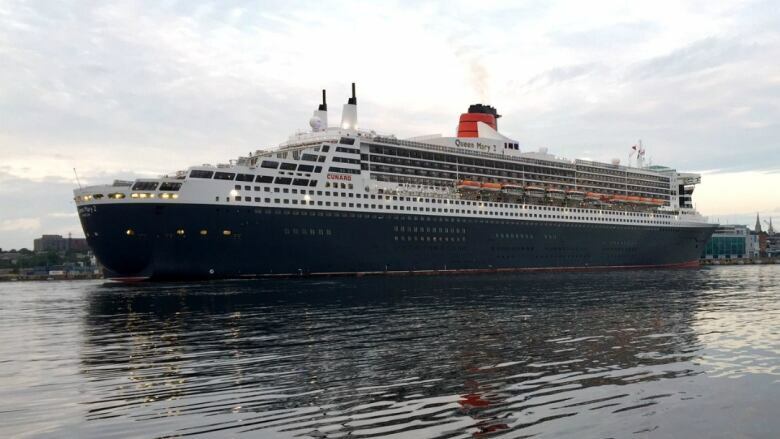 The 26-year-old crew member who went overboard from the Cunard cruise ship Queen Mary 2 is presumed dead and the search has been scaled back. The Queen Mary 2 has abandoned the search for a crewmember who went overboard Saturday off the coast of Newfoundland. The Cunard cruise line said Sunday that the ship and the Canadian Coast Guard had conducted an extensive search after the crewmember was reported missing Saturday morning. Joint Task Force Atlantic tweeted around 9 p.m. NT Saturday that the search for the 26-year-old man had been scaled back after consideration of the man's "probable chance for survival." The crew member went missing sometime after midnight Saturday and was believed to be roughly 780 km east of St. John's. Passenger Konstantin Binder tweeted that Capt. Kevin Oprey turned the ship around at 10:40 a.m. Saturday. Passengers were later called on deck and asked to look as the captain said "every pair of eyes helps." The ship is turning again. We're heading towards Canada. What a sad day. A man has lost his life. RIP. The Queen Mary 2 retraced its course in hopes of finding the man, but its search was abandoned after experts determined no one could have survived that long in the chilly Atlantic. The Joint Rescue Co-ordination Centre (JRCC) in Halifax had also tasked the container ship Milan Express to assist in the search for the crewmember Saturday afternoon. Foggy conditions on the Atlantic prevented crews from conducting an aerial search on Saturday. The Queen Mary 2, Cunard's flagship, was travelling from Southampton to New York and will stop in Halifax on Monday. Christened in 2004, the ship is 345 meters long, has 19 decks and carries 2,620 passengers.